@precociousapprentice, Well, I was going to suggest that if you insisted on keeping Vampire Nighthawk that Thornbite Staff makes a strong synergy with it. If you're going to use only one copy spell I'd suggest using Fork over Reverberate. While they're very similar and neither is strictly better or worse than the other one common scenario Fork has over Reverberate is when copying counter spells and turning them red. This can be significant, because in past times when copying counterspells I've had cards like Red Elemental Blast, Pyroblast, and Guttural Response used to counteract my Reverberate when copying a blue counter spell or draw spell. Most non-blue decks that can run those cards will likely run them more-so than not and Fork bypasses that issue easily when needed. It seems your meta is thoroughly diverse. Hand and deck disruption can be a strong asset for taking down a combo deck, but I wouldn't consider Praetor's Grasp or Wheel of Fortune strong enough effects since combo decks can always run back-up combos to rely on. What really hits combo is repeatable effects and some of the strongest you could probably run would be Mind Slash and Bottomless Pit which a lot of combo players would find nasty. 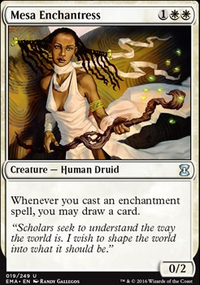 (Painful Quandary is a close third place and can stop storm decks pretty effectively as well.) Also if you're going up against non-graveyard strategies Mesmeric Orb is a ballistic nightmare in any singleton format it's put in which would be the only effective mill card I'd ever recommend when hurting combo. 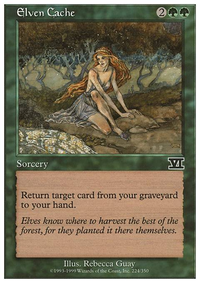 Do note graveyard-based combos are a little more resilient to the card suggestions I've given above, but so long as you have something like Rest in Peace and/or Planar Void you can easily avoid this issue without giving them any fuel to burn. Given your meta I would imagine Torpor Orb would lift a lot of weight for you especially against Purphoros, God of the Forge, Palinchron/Deadeye Navigator, and whatever ETB effects the Muldrotha, the Gravetide deck is probably abusing. One aspect about blue I've never liked was it's use of counter spells. If you find Reverberate helpful I'd recommend also using cards like Seal of Cleansing, Sinister Concoction, Gate to Phyrexia, Aura Fracture, Aura of Silence, and Umezawa's Jitte. Not only do they serve as good rattlesnake cards that deter your opponents from just putting their bombs on the field, but I've noticed blue decks only hold up counter spell mana on turns they might need it on. If you drop one of these early when they're not ready their counter spells won't be able to stop the card effects, and I can verify from past experiences that the blue players I go up against when using the cards I just mentioned hate them fondly because they know I save them for their combos which makes their job of combo-ing out much more complicated. In fact one card I've found more success with than I'd ever give credit to is Molten Vortex, because the number of utility creatures and win-cons it hits without needing to use prime removal spells is pretty big and as I said before it's another one of those spells that if resolved the blue decks are going to have troubles playing around with. The Vortex can remove Mizzix of the Izmagnus, Laboratory Maniac, Norin the Wary, Hermit Druid, Kiki-Jiki, Mirror Breaker, etc. and even when I don't have a land to pitch to it I've found it's presence alone is enough to deter plays entirely. Shattering Spree also plays well against blue, because not only can it hit multiple targets, but you can hit the same target twice or three times which would require more than one counter spell to stop a key combo piece being removed if needed. As for multiple combat steps or a super massive army being swung your way you already can use Ghostly Prison, but if you need more options Norn's Annex can also work as well as Orim's Chant which not only stops combat but can also be used but can also stop storm or certain combos if you cast it at the right moment. It should also be noted that Rule of Law as well as the aforementioned Damping Sphere also does a marvelous job of stopping storm as well. Lastly if your opponents gaining life is an issue I think Rampaging Ferocidon makes a good option, because it can also punish your opponents if they try to build an army, so it fits two functions rather well, and I find the menace handy if you ever need to punch into a super-friends deck. That makes sense, there are several ways I could go with this. 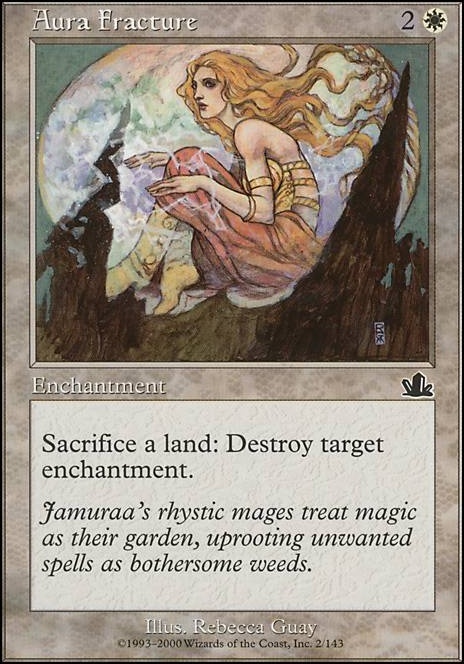 If I wanted to be cute I could take advantage of Landfall triggers from two lands re-entering the battlefield every turn, if I did that I would have to include some land sacrifice like Aggressive Mining (this particular card would add a color but you get the idea). Arcane Spyglass would interact with Power Conduit, so that may be a possibility. Aura Fracture would make sure no one was taking advantage of enchantments but me. 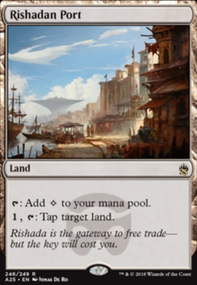 This could also combo with Glacial Chasm, saccing it every turn then bringing it and another land back from the yard, so you never have to pay the life. Lots of fun options there. The Gitrog Monster would provide some value, but that's also adding a color. There's synergy with cards like Constant Mists as well. 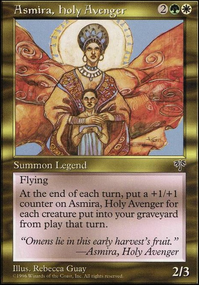 I have a similar deck i've been working on here: A Child of Many Lands. I'd love to see what you think of it! 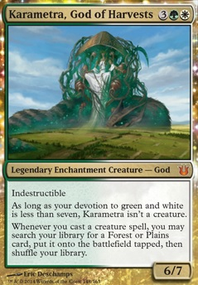 For your deck, i'd suggest the lands Inkmoth Nexus, Kessig Wolf Run, Cabal Coffers, Urborg, Tomb of Yawgmoth, Glacial Chasm, and Boseiju, Who Shelters All if you run into counterspells. Your deck also seems slightly low on card draw. I'd suggest Tireless Tracker, cycling lands, and maybe Sylvan Library or Phyrexian Arena. Finally i have found these cards to be all around solid inclusions: Intuition, Corpse Dance, Aura Fracture. StopShot Sorry for the late reply- Aura Fracture seems pretty niche. I don't really ever have to deal with someone dropping a Contamination or Back to Basics like you mentioned. Maybe if it's becoming a problem for you, add something like Duergar Hedge-Mage to your maindeck. 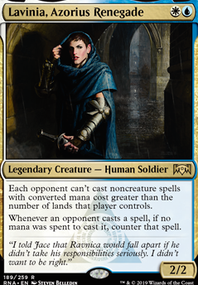 It's a recurable creature for Alesha, doesn't eat any lands, and also hits artifacts. I'm sorry, I meant to say Aura Fracture, not Aura Shards. Thoughts on running Aura Fracture? 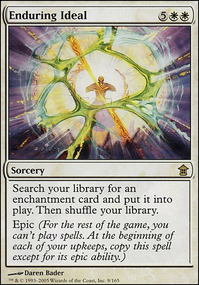 I placed it in my deck to help preemptively take out Contamination and Back to Basics effects but the power to remove enchantments without worry of counter-spells or needing to hold mana up seems really powerful to me especially when you can feed it excess lands you don't need.